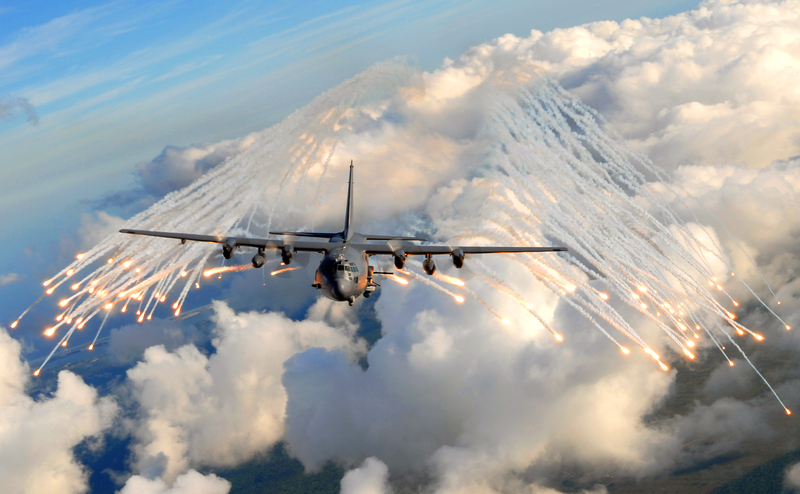 The AC-130 will be retrofitted with high-energy laser guns and drones that can be launched mid-flight if Lt. Gen. Brad Heithold has his way. Heithold wants to turn the AC-130 into a sort of flying aircraft carrier. He believes that both modifications will have offensive and defensive capabilities that will make the slow-flying AC-130 a more versatile and useful aircraft. He claims that, without these modifications, the AC-130 will become a sitting duck as enemy nation’s military technology becomes more sophisticated. He believes that the lasers will be able to shoot down surface-to-air missiles that are a threat to the AC-130. He claims that the technology can be ready and implemented within a decade. He also believes that disposable drones that will be launched directly from the aircraft can be used to scout areas before the AC-130 enters areas where it will be vulnerable to attacks. They can also be used offensively, to fly within striking distance of surface-to-air missiles and ensure the AC-130’s attacks are on target. He states that not all AC-130s in the military will need this technology. He believes that applying the technology to just 5 or 6 aircraft will be sufficient.